Citizens can use it to understand how the City plans to achieve the community-driven vision and to hold their elected representatives accountable. The Master Plan is organized hierarchically, as illustrated below. The Vision, Guiding Principles, and Goals are at the top and articulate what Trenton should look like in 2042. The Community-Driven Vision is the broadest description of what Trentonians hope to achieve and sets the direction of the plan. Most critically, it also drives all recommendations made below it. Under guiding principles are the goals. Unlike guiding principles which are action oriented and value based, goals express a desired future outcome and focus on a specific topic or critical issue. The following are two example of goals: “Trentonians will have reliable and affordable transportation options to local and regional job centers and destinations” and “Trenton's downtown and waterfront will be the economic center of Mercer County and the Central Jersey Region”). The vision, guiding principles, and goals all discuss outcomes: what Trenton is looking to achieve. The initiatives make recommendations on how the City and its partners should act to make those outcomes reality. For example, there are initiatives that recommend the City create a comprehensive capital city regional trail network, promote downtown housing development, and invest in neighborhoods with the highest potential for change. These initiatives are broad recommendations that will often take considerable time to achieve. Actions, on the other hand, are the individual efforts that will make an initiative happen. An action is an individual policy, project, program, partnership, study, or advocacy position that the City and the community must execute to support an initiative to achieve a goal (for example, create a Green Infrastructure Program, Assunpink Creek Daylighting Project, or an Anti-Litter Campaign). It is the smallest piece of the Master Plan and should be considered the item that is most actionable: the City can adopt a policy, create a program, undertake a study, or actively advocate for something. It is critical to understand that a single action can support multiple initiatives and a single initiative can help fulfill multiple goals. This is the nature of community building: efforts can be mutually reinforcing and completing one task can help you accomplish many more. The plan was organized in this manner, in part, to facilitate implementation. Action Cards provide clear information about what the City should be doing, who is responsible for each actions execution, and how much each one should cost. This organization supports accountability and ensures that responsible entities understand what is expected of them. Clearly identifying long-term initiatives will allow Department Heads the opportunity to easily articulate what goals they are working to achieve and how the work of City staff is furthering larger goals. For more information on this, see Plan Implementation below. The following is an example of an initiative to create a safe and clean City environment. As you can see, the initiative clearly identifies the goals it will achieve and the actions that must be implemented to make it successful. As stated above, the Master Plan is organized into Vision, Guiding Principles, Goals, Initiatives, and Actions. However, it would be almost impossible to write a complete plan in one single effort: it would be very expensive and incredibly complicated. Instead, the City has written the Plan in phases. The following describes each document that the City has produced to date and how it fits into the above-mentioned structure. The foundation for the Plan is the Vision Report. From February through August of 2014 more than ten different methods were used to reach out to the community and get their input on creating a community-driven vision for the City of Trenton. The result of that effort was a Vision Statement and a set of Guiding Principles that have broad community support and will serve to guide the Master Plan through 2042. Stated simply, the Vision describes what the City wants to be and how it wants to look in 2042. It succinctly captures the essence of citizens’ values and the underlying philosophies on how the City should develop. The vision statement is supported by “guiding principles” that provide more detail on how to achieve the vision and a “Vision Map” which identifies the specific vision for different areas in the City. Will this project or policy help the city support one or more of the guiding principles? Is there a way to change the project or policy so that it will support more guiding principles? Does the project or policy restrict in any way the City’s ability to uphold the guiding principles? The Vision Report serves as the starting point for the creation and implementation of the City’s Master Plan. As such, it guides the policy and project recommendations expressed in every element of the Master Plan. It is also a “home base” that one can always use to determine if a specific action is consistent with where the community wants the city to go. As a result, city council members, the mayor, planning board members, and the public can refer to it when evaluating future projects and proposals. Moreover, the vision is a form of branding. The City should prominently display it at key civic locations, on City documents, and in regional advertising. All residents and business owners should be able to articulate the statement and express what the City is doing to achieve it. The City has generated topic reports that enumerate a series of goals, initiatives, and actions that the City should implement to achieve the vision. The City built these recommendations upon the foundation of previous studies and planning efforts. A list of all the previous plans and studies reviewed as part of this effort can be found in Appendix A. You can go to the “Foundational Materials” tab of the trenton250.org website to review the all previous plans. These studies are collectively referred to as the “Foundational Materials” and are also listed in Appendix A. You can go the “Foundational Materials” tab of the trenton250.org website to review these studies. The Issues and Opportunities Report (also “I/O Report”) serves as an official record of the mutually agreed upon issues and opportunities identified by previous planning efforts, residents, stakeholders, and City staff. The report does not claim to account for every issue and opportunity at all scales. Instead, it focuses on those that are appropriate to a city-wide master plan and are based on the currently completed reports. By creating a detailed list of the issues and opportunities, the City hopes to reduce the need to repeat the process of identifying them in subsequent efforts. Those conducting subsequent planning efforts should then have more freedom to dig deeper into key concerns and/or reduce the amount of effort required to do planning in the City. The I/O Report also enumerates the “possible responses” identified by participants. The City did not incorporate all of them into the Master Plan. However, once again, the goal is to keep ideas alive and to reduce the need to reiterate them in every planning process. The intent is that the I/O Report be a “living document”: all future planning efforts should start with a review of this document. After the City undertakes the appropriate analysis and public engagement, those efforts should then make suggested amendments to this document. These amendments could include recommendations for new issues and opportunities or removal of those that are no longer relevant. Once approved by City staff, the Planning Board should adopt them, and the City should release an amended I/O Report. The core recommendations of the Master Plan are made within “Topic Reports,” commonly called “Elements” of a Master Plan. These Reports take a particular perspective, like Education or Economic Development, on trying to achieve the Vision and enact the Guiding Principles. They contain a background section that summarizes the issues and opportunities relevant to that topic. The reports then enumerate a series of goals, initiatives, and actions that the City should implement to achieve the Vision. Once adopted, these recommendations become part of the Master Plan. In all instances, the reports identify actions needed to execute initiatives. However, information regarding the actions (including descriptions and implementation details) is only available online at Trenton250.org. The actions are only available on the website because City Hall will regularly update them and it would be overly burdensome to amend the Master Plan each time the City appointed a new lead department, added more detailed implementation information to the background section or provide status updates. In reviewing these reports, one will notice that they often cross reference each other: this is intentional. Cities are complex places and changes to circulation, land use, or housing policy, for example, will impact education, the environment, and economic development. When the City writes a new report, that process should involve a review of all other reports, initiatives, and actions and may result in amendments to previously written reports. The District Plans provide information on where some of the recommendations made in the reports should be applied in each planning district. These Plans are ideal for those who are particularly concerned about how the City will implement the Master Plan in their district or ward. The Plans do not provide any additional initiatives or actions. Since they are reference documents, they may not provide a complete picture or explanation of every recommendation. Nor are they neighborhood plans: there are likely many local issues which are not addressed in this Master Plan and therefore not included in this District Plan. For those unfamiliar with the many recommendations made in the Master Plan, using the Trenton250.org website may be a better experience: the ability to use hyperlinks to jump to information will allow you to explore the entire Master Plan while starting from the District Plan. The intent of the District Plan is to illustrate where the City should implement different actions. As a result, the District Plans will help users understand how the work may affect, or be affected by, other efforts. At the same time, the District Plans provide users with a clear picture of where the City should invest in the district. As a result, the District Plans can be a tool for council members to coordinate efforts and for residents to hold elected officials accountable. As the City completes new Topic Reports and makes new recommendations, the District Plans will be amended respectively. The Master Plan is an ambitious effort and given the limited resources available to the City, not every plan can be written at once. As such, readers should be aware that the current Master Plan reflects initiatives and actions based on reports that the City has completed to date. Therefore, there may be some issues, such as public safety, which the City has not yet addressed in sufficient detail. However, as funding becomes available, the City will undertake the additional reports and amend the Master Plan. 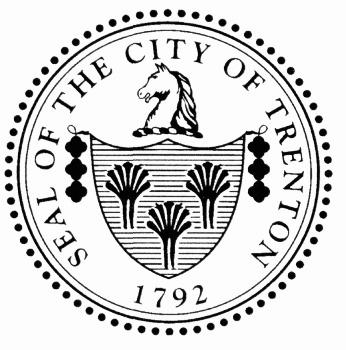 The City of Trenton is developing an implementation plan that will accompany this Master Plan. This plan identifies the short-term strategy (1 to 3 years) that the City will take to achieve the community-driven vision. This process begins with a directive from the Mayor, outlining priority goals and initiatives. These initiatives will be tasked to cabinet-level working groups who develop performance measurements for each initiative and delegate the execution of individual actions to their respective staff. The Implementation Plan will be regularly reviewed, updated, and made public on the Trenton250.org website.